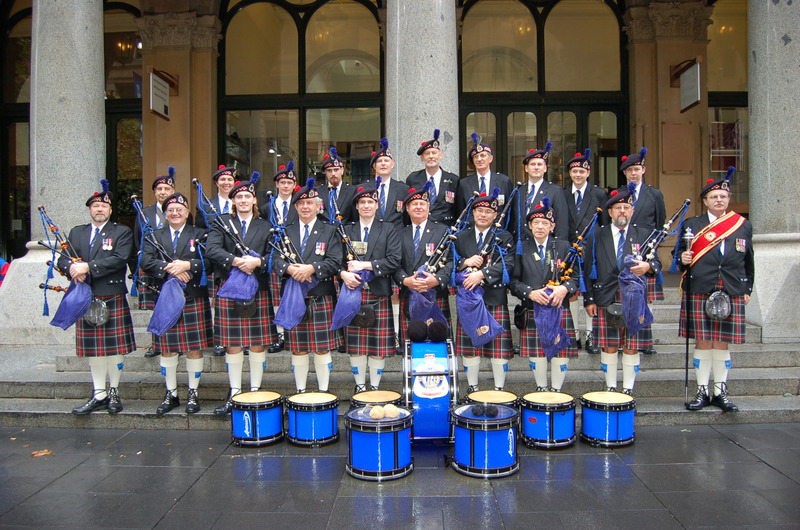 BURWOOD RSL Sub-branch Pipes and Drums have recently been incorporated and are ready to provide support for your next function, gathering, performance or Media engagement. The majority of foundation members are ex Australian Army and have joined together in a new band to be able to bring their musicianship and experience to the Public. Now with a band of over 16 players the pipes and drums can provide you or your organisation professional support be it a single piper, mini band or the entire Pipes and Drums. copyright BURWOOD RSL Sub- Branch PIPES & DRUMS - All rights reserved.